You have a little one who bursts into tears and sometimes even wails as you leave for work. It gets even worse during daycare drop off. The child weeps like you’re gone for good! This gets you worried because you cannot bring the little angel along with you to work. 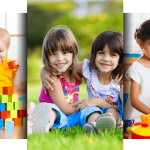 All you can do is have the kid spend his or her day at the best daycare in Vaughan. But as much as it sounds strange and frustrating, it is normal. Experts refer to the whole scenario as child separation anxiety. It is emotionally taxing for working mothers and their little ones. There is good news though – the problem has a solution. You only need to explore the following ideas. Children always feel excited and secure when they know what to expect especially from their mothers. Following a morning routine makes it easy for them to transition from home to day care. The routine helps them remember what’s coming next, which is you leaving for work. Keep in mind though that skipping the routine can easily leave your child confused. Here’s how to go about the routine. First, cuddle in bed or even on the couch. Eat breakfast together, brush your teeth and get dressed. Get ready for day care, pack if you have to and get in the car. Make sure that the ride to school is a happy one – one that the kid can always look forward to. You can easily do this by playing kids songs and singing along to the songs or playing a few games. Help the child get settled into day care and take time to say a brief goodbye. Picture a daycare with a ‘bye bye window’. 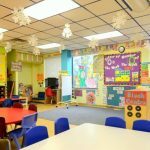 The top half of a classroom is designed to open separately. The parent can therefore lean in to give his or her loved one a goodbye kiss. Older children start their daycare routine outdoors. Part of the playground equipment is in fact, dubbed ‘the bye bye tower’. Children simply climb and wave over the fence to wave their parents bye. This is already happening in a good number of day cares. It is a ritual that has been proven to stop goodbye tears. If your child’s day care does not have such an arrangement, suggest it. Alternatively, create special goodbye words just for you and your little one. It may take time to establish the ritual and keep it going. After a few weeks however, your child will easily know what to expect. Children react to the moods of adults in a remarkable way. A small infant can easily tell when his or her mother upset. The infant will then start to fuss. It gets even stranger with bigger children. They become clingy or act out each time their parents seem unhappy. By all means, do not let your unhappiness or anxiety show through your facial expression especially as you drop off your child at day care. The child will most likely think something’s wrong with where you’re leaving him or her. Speak to your child about how much fun the day care is. In short, make your child believe that they will have a surefire good day! It is important not to linger when your kid is having a hard time separating. Prolonging the goodbye will simply worsen things. Give a hug or an extra kiss when your child is upset then detach yourself. Make sure that you do not forget or leave something that will force you to rush back. Ask for help if you have. That way, your child won’t have to say goodbye again.